You’ve had one or two of those days where you rush out the door on a busy morning without brushing your teeth. 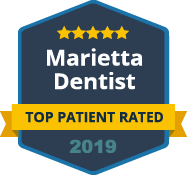 It happens to everyone in Marietta on occasion, and it’s usually no big deal. Your teeth will be fine if you only rarely forget to brush. But what if you decided to stop cleaning your teeth altogether? At what point would you start experience problems? You will experience some effects like foul breath odor, a poor sense of taste, and a fuzzy film of plaque buildup on your teeth and tongue. This plaque contains acids that will have begun dissolving your enamel over the course of the day. 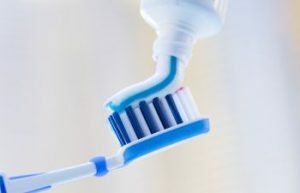 You might go as long as a week or two without brushing if you’ve had some kind of surgery or illness or injury that prevented you from doing so. At this point, your enamel will be weaker in some areas and you may have developed gingivitis. If you’ve made it for several months without brushing, then your mouth is likely to be in bad shape. You’ll have new cavities developing and your mouth may be uncomfortable due to gum swelling and plaque and tartar growth. Take Care of Your Oral Health! Prevent dental problems by taking good care of your teeth right from the very start. The dentists at Dental Care Center at Kennestone strongly advise you to not skip a single day of brushing and flossing. 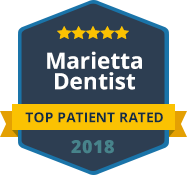 Call our team to schedule a dental health checkup and learn about the most effective teeth cleaning techniques.